May’s team have embraced Blue Labour’s emphasis on ordinary working families. Part of the problem with Miliband was that he only ever talked about the rich and the poor, which ignored the vast majority of people. The Conservatives are pitching for what they call the mainstream – people with Blue Labour values who choose a fairly traditional family structure, value their settled ways of life and are generally sceptical about the pace of change. This is broadly true in the American context too. I wonder if the Republican Party has within itself the capacity to adopt a more communitarian conservatism. Trump might have done so, but he has not demonstrated the imagination, wit, conviction, or discipline to make it happen. Joel Kotkin writes about this here; I’ll devote a separate blog post to Kotkin’s piece later. The other reason is a terrible campaign and a candidate who looks like an empty vessel. From the start the campaign was unimaginative and off-putting, with ‎an un-British personality cult as if the UK had a presidential system, not a parliamentary democracy. The ad nauseam repetition of ‘strong and stable leadership’ was fatally undermined when Theresa May flip-flopped over her social care reform plans. She’s been robotic and unable to speak from the heart whereas Jeremy Corbyn — for all the dangerous ideas he defends — has been an effective campaigner. In short, May’s post-liberal politics charts an alternative to globalism and nationalism, but she doesn’t look like the leader to make this the new consensus. We’ll know more in 24 hours. Indeed we will. Here’s an election guide from our friends at The Spectator. Readers, I am traveling today. I’ll be at the Trinity Evangelical School for Ministry in Ambridge, PA, at a conference today and tomorrow. If you’d like to come out tonight (Thursday June 8) to a free public lecture by me, on the Benedict Option, register here. I am off to Italy with my son Matthew on Saturday. I’ll be at a conference in Trento early next week, then taking the train up to Munich to visit some friends and see the Bavarian capital. (Matthew, my science, technology, Kraftwerk, and automobile-loving spawn, is really interested in seeing the Deutsches Museum and BMW-Welt). Then we’ll drop down to Venice for the following weekend before flying back to the US. I’ll be blogging as often as I can, but please be patient with comments approval, which will be intermittent. Posted in Conservatism, Politics, UK/Europe. Tagged conservatism, Tories, Labour, Conservative Party, Jeremy Corbyn, Adrian Pabst, Blue Labour, Red Tories. 2. The repeal or undercutting of much of Dodd-Frank (rather than fixing the problems that Dodd-Frank failed to fix). 2) Can we remember that a lot of ‘globalist’ are very hard working people? 3) Isn’t it time to find alternative jobs for the struggling working industrial working classes? This is the big problem with the small c conservatives, Vance, Douthat or Dreher, as they preach the return of these communities without any economic plan. It is unlikely the number of manufacturing jobs will long term increase. 4) Depending on the vote (polls range +2 to +13 conservative so there is no herding or good direction) I wonder how much of the Trump factor playing against May here? Merkel/Macron are more popular with their anti-Trump attacks. I’ve only read a bit of Pabst ( an excellent article on Adam Smith) but this was shockingly naive. As if the Tories could turn back 40 years of alignment with the neoliberal agenda! or as if they really cared about anyone but the rich. And, of course, there’s no agenda of undermining the NHS ! I think the Conservatives are a perfect embodiment of some of the salient ideas of D. bell’s great ‘Cultural Contradictions’. Rod – if you can squeeze it in while in Munich, check out the palace of Herrenchiemsee. It’s about an hour or so outside the city, located on an island in the middle of the Chiemsee (a lake). You take a ferry out to it & they’ve got English-language tours. It was built by Ludwig II. He intended it to be grander than Versailles. What he was able to complete before his government (probably) had him murdered for blowing the Bavarian state budget on fantasy castles instead of the army…ahm, I mean, before his body was found conveniently floating in a lake is pretty impressive. Basically the same as the GOP. Public pretense towards the sort of conservativism designed to promote and defend traditional culture, but privately more Thatcherism. I wonder if the Republican Party has within itself the capacity to adopt a more communitarian conservatism. Trump might have done so, but he has not demonstrated the imagination, wit, conviction, or discipline to make it happen. The GOP, as it stands, completely lacks the ability to adopt a more communitarian conservatism, or any kind of real conservatism whatsoever. They are, even more so than the Democrats, completely enthralled to their corporate masters. For any kind of communitarianism to take root, both parties need to throw off their wealthy donors and addiction to dark money. Overturning Citizens United would be a good place to start. But that’s not going to happen. Trump, of course, was never going to bring communitarianism to the GOP. His affinity for the working class was a con job from beginning to end, abandoned as soon as he won the election and started filling his cabinet will Goldman Sachs alums. He’s always been about self-enrichment and self-aggrandizement. Anybody who couldn’t see that central aspect of his character from the get go was willfully blind. The Kotkin piece is spot on. Globalization has created a new elite bound to no one country, loyal only to the expansion of their own power and wealth. I wish that conservatives would adopt just a little bit of the “Common Good” philosophy. Eisenhower did this with the interstate highway system and infrastructure improvements which help all of us. Republican politicians today, seem to demand only tax cuts for the rich. Nothing for infrastructure, state universities, and things that contribute to the common good. Their gospel of tax cuts and trickle down economics does not work. Look at how most people have lost ground over the past 30 years. Look at what a mess Kansas is. That buffoon Bobby Jindal cut taxes and funding to the LSU system and the result is chaos. Conservatives have to stand for something more than just tax cuts. How about the common good? hope you and your son have a great time overseas. Pretty much the whole point of Thatcherism was catering to the City of London and uprooting inherited English liberties. Tony Blair inherited this program and ran with it, and (worse luck) tied himself to certain insane American projects overseas. No wonder nobody trusts the Tories. I live about three miles from Theresa May, who lives in the same expensive village as George Clooney. I am not sure who is more the horrifying prospect as Prime Minister, Theresa with her authoritarian instincts or Jeremy Corbyn with his deranged economics. Theresa’s tendency to ban anything she does not like is particularly dangerous after the recent spate of terror attacks. Yes, this is the same woman, who, when Home Secretary, banned Robert Spencer and Pamela Gellar from coming the UK. She will probably impede free speech by the good guys and do nothing to deter the nutters. As to your travel plans…tell Matthew to allow 2 days if he wants to explore the wonderful Deutsches Museum from top to bottom, or be very selective as to what he really wants to see. I loved BMW-Welt, but it won’t take long, so check out the superb BMW Museum across the road and the 1972 Olympic Park across the freeway. The Olympic structures are still in very good condition. That was the explicit claim made by the editors of American Affairs in their debate with the Dissent editors. I don’t think they did much to develop their vision during the debate, but it seems to be their long-term project with their journal. They seem to think that both the non-mainstream left and non-mainstream right have significant communitarian aspects. Whether their communitarianisms are compatible, though, is far from certain—it ultimately comes down to one’s understanding of human nature. I wonder if the Republican Party has within itself the capacity to adopt a more communitarian conservatism. No. Not in a million years. Of course the Democrats aren’t anywhere close either. Labor, like its more inchoate American counterparts, wasn’t particularly ready to be in power, rather than the party of perpetual opposition, and, since the 1960s, forgets that the party of the working class is not merely the party of the poor. One of the results of organizing poor people successfully is that they cease to be poor. You can organize teamsters, and they remain teamsters, whether they make 50 cents an hour or $50 an hour. If you look at the old Wobbly publicity (Industrial Workers of the World), their epithets for the capitalist class were almost identical to conservative working class epithets for the unemployed poor. Corbyn is a mixed bag. Chances are he won’t last long if he wins. He’s all mixed up with this bizarre notion that there is something proletarian about Palestinian nationalism, which there isn’t, and he’s probably not the man who could manage a productive cooperative commonwealth. That’s where many revolutions founder: once you win, you are responsible to keep the wheels turning, the crops growing, the stores supplied — not matter how you organize the flow of capital and dividends and wages. Have a good time in Italy and Germany! 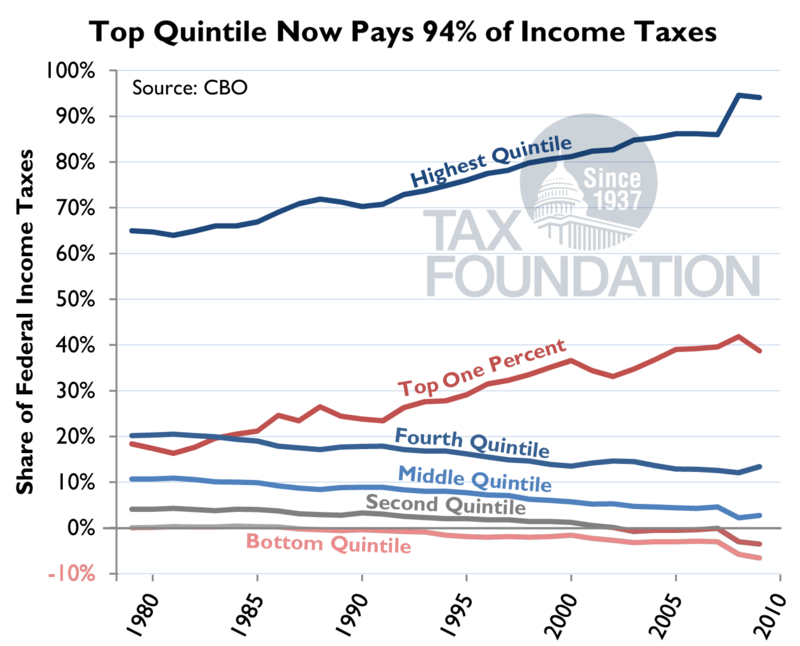 Damn conservatives giving tax cuts to the rich. If only we could get those guys to pay their fair share, which is always and forever more than whatever they pay now. Polling all over the place, nobody has a clue it seems. The fact that Corybn is doing as well as he is, despite the brickbats from Blair and co., is very telling. Maybe the Left should wait out the incoming implosion of the populist Right? ? Nice cartoon grumpy — and if they did remember the robots, whose going to maintain them all? What we’re seeing in the polling is a big shift of formerly Tory Remain voters deciding a socialist in charge of the country is better than leaving the single European market and slight surge in the youth vote, which is heavily remain. BBC reports that it’s a 50/50 May might go- Tories doing well in Scotland but have lost some constituencies they’ve held since WWI in England.I’ll be curious to see how it plays out. Well, Rod, it seems ordinary people haven’t voted for the ” common good” or ” communitarian conservatism” ( both ridiculous claims). They thought they’d crush the Labour Party but things have a way of working out in a different way. Beautiful! ” traditional family structure”. That made me laugh. Forty years of a radical, asocial individualism, the ” nasty” party that wants to destroy the NHS ( maybe that’s not part of the ” common good”?). Apologies for all the gloating but despite all the right wing propaganda the “uprooters” ( as Joseph pointedly remarks) got a bit of a shafting! For once I agree with Portland, here; although, I’ll go further in the calling what the GOP is doing “Thatcherism” is giving it way too much credit. It’s just plain short-sighted pandering to their donors at the expense of their base. Right now, having failed to throw the presidential election, Ryan and the rest of the GOPe are amplifying their failure theater and trying to slow-walk any reform. And does this not quite fittingly describe Theresa May as opposed to Jeremy Corbyn? Did you mean to say “International Workers Day for Tories”? You gotta go see the surfers in Munich! Can’t miss!! Rod, I wonder why you haven’t written about the Democratic Unionist Party (DUP), a strongly social conservative party (which opposes gay marriage and abortion and have, amazingly, basically kept both out of Northern Ireland), which now is being relied upon by the Tories to stay in power. Isn’t it ironic that the Tory leadership, having abandoned the historic social conservativism of the party–arguably the foundation that holds conservatism together–now finds itself dependent upon hard-core social conservatives? Even many Tory MPs are now said to be embarrassed to be in a coalition in them because of their socially-conservative views. The media and liberal outrage about the Tory coalition with the DUP has reportedly inspired thousands of sympathizers in England to join the DUP. Perhaps if you posted about them, the publicity would help them with fundraising from fellow travelers outside of Northern Ireland, to the extent that’s legal? It would be interesting if somehow the new prominence of the DUP could raise the profile and social desirability of social conservativism in Britain and even in Europe more broadly. As history is cyclical (think the 60s versus the 80s), it’s only a matter of time before someone manages to bring social conservativism as a political force back to Britain and the rest of Western Europe. G-d works in mysterious ways — He could certainly do this through Ulster Unionists.